I don't eat eggplant very often so I thought I'd try this dish for something a little different from the herbivoracious cookbook. This recipe was from the "main courses from the oven" section. 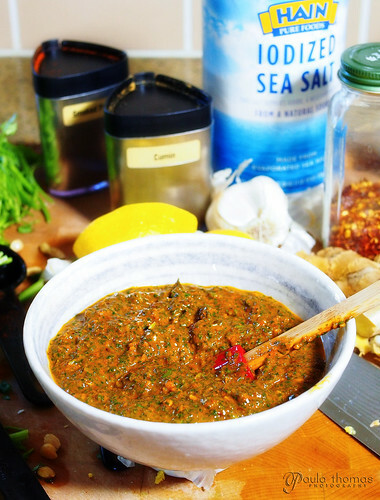 The chermoula sauce used in this recipe referenced the last section, "sauces and condiments" for the details on how to make it. I've never even heard of chermoula sauce before. There was some info about it in the cookbook but I wanted to know more about it so I googled it. I discovered that it's typically used in Algerian, Moroccan and Tunisian cooking. 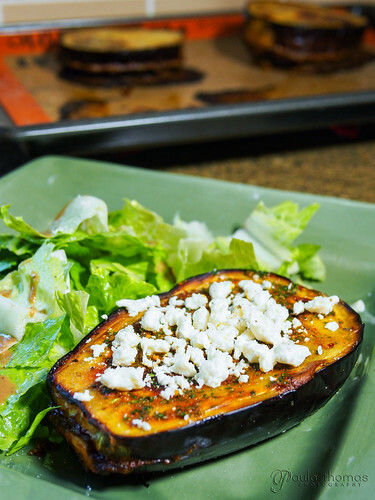 It can be used as a marinade or sauce for seafood or meats and even used on vegetables like this eggplant dish. I like the music in my videos to go along with the dish I make so I chose a Moroccan song that I found on my favorite music site, jamendo. The dish was easy to prepare and the instructions on how to cut the eggplant were easy to understand. When I put it in the oven, it seemed to be cooking too fast so I turned the temp down from 450 to 425 about 5 mins into the cooking and it turned out just right after 30 mins in the oven. I had a lot of leftover sauce after making this dish so I put some in the freezer for future use and used some with pasta the following day. 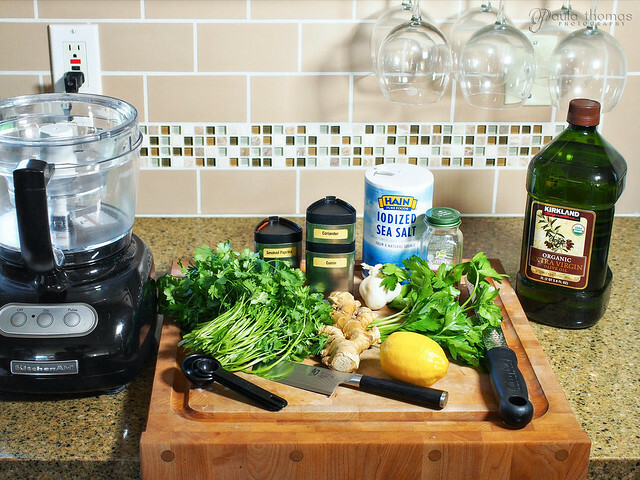 It has a lot of the same ingredients as a pesto so why not? It worked pretty well with the pasta I thought. I just added a little more oil and some pasta water to it because it was a little too thick. This sauce can be used for just about anything you can think of.